We sincerely thank you for selecting our practice to serve your dental health needs. 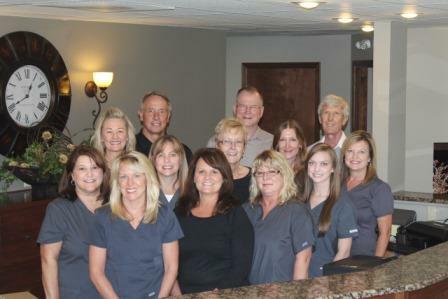 We are proud of our office and operate as a team in order to help you with any dental concerns you might have. We will do everything possible to make sure that your visit	is a pleasant one. Our front office staff will answer any questions concerning treatment plans, associated fees, insurance benefits and scheduling. We believe that when good communication exists between doctor, staff, and patient, you will be able to receive the level of care you desire and deserve. Our goal is to provide you with the best possible dental service, at a reasonable fee, in a comfortable and friendly environment. A beautiful smile makes a world of difference. With all the techniques now available in cosmetic dentistry, making your smile beautiful is simple. At Miller Sullivan and Associates, we offer a full range of dental services. Click any item from the list below to find out more information about the individual service.